Great space for families with kids staying for more than just a few days. This was a clean, comfortable apartment in a small complex with 2 pools, ping pong, billiards, and space to hang out and bbq. It was removed from the hustle and bustle of the boardwalk so it remained quiet at night but was still walking distance to the beach and very accessible to Serra Tramuntana mountains and other sites by car. The staff was very friendly and helpful with advice and directions on the things we most wanted to experience. They also provide free off street parking. Good location near the beach and the staff were friendly and helpful. Very spacious apartment. Regularly cleaned. Nice pool area. Modern and beautiful apartments. The facilities are lovely. Pool area perfect for relaxing and so clean. friendly helpful staff, quiet, pool to our selves most of the time, choice of the 2 pools, good location. small friendly complex. Reception was always very helpful. Nice, well maintained yard with pool. Great location within 5-20 minutes from fabulous beach and 15-20 from marina and main square. Lots of restaurants and shops within 5-10 minutes walk also. General layout of complex was lovely. Well kept gardens and pool. Apartment was basic but reasonably comfortable. Staff were very helpful and friendly and would go out of their way for you. Reception staff were very friendly - we were always greeted with a warm welcome when walking through. The location was pretty much perfect with just a short walk to the beach/town. Facilities were great! Lock in a great price for Cabot Las Velas Apartments – rated 8.5 by recent guests! Las Velas Apartments are located in a quiet area of Puerto Pollensa, just 1,650 feet from the beach. They offer 2 freeform swimming pools and a bar. 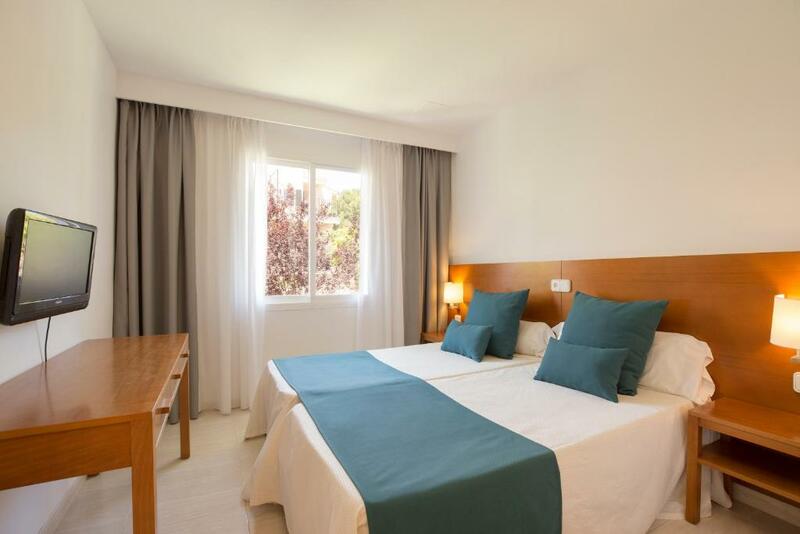 Each spacious apartment at Las Velas has air conditioning and a furnished terrace. They have a lounge with a sofa bed and satellite TV. Kitchens include a microwave and fridge. Barbecue facilities are also available. 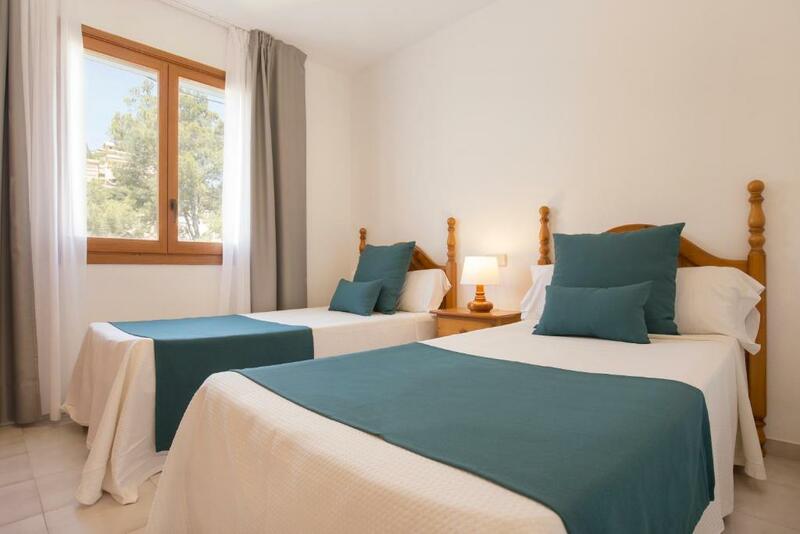 Apartments Las Velas are surrounded by gardens and pines forests. Port de Pollença Beach is 1,650 feet away, and Port de Pollença Marina is within a 15-minute walk. Free parking can be found nearby. 뀐 Located in the top-rated area in Port de Pollensa, this property has an excellent location score of 8.3! When would you like to stay at Cabot Las Velas Apartments? 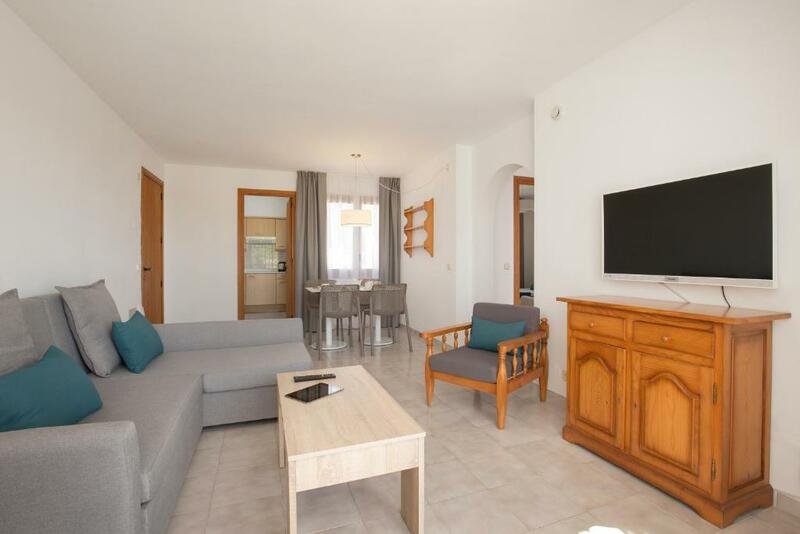 This air-conditioned apartment features 2 double or twin bedrooms, a balcony and a living-dining area with a sofa bed and satellite TV. The kitchen includes a microwave and fridge. This air-conditioned apartment features a double or twin bedroom, a balcony and a living-dining area with a sofa bed and satellite TV. The kitchen includes a microwave and fridge. This apartment features a toaster, satellite TV and electric kettle. House Rules Cabot Las Velas Apartments takes special requests – add in the next step! 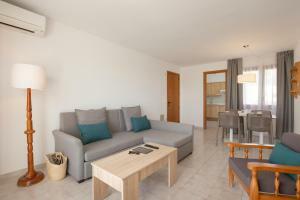 Cabot Las Velas Apartments accepts these cards and reserves the right to temporarily hold an amount prior to arrival. Please inform Cabot Las Velas Apartments of your expected arrival time in advance. You can use the Special Requests box when booking, or contact the property directly using the contact details in your confirmation. Mosquitos were a real issue especially if you wanted to use the pool at the end of the day. Apartment was also a bit tired and always felt damp so ventilation needs sorting. Our particular block was a little dated. No lift with a 2 year old and pram was difficult. Limited worktop space in kitchen which had loads of room for more worktop! Bathroom a little grotty - just needs re-tiling etc. Balcony view spoiled due to large palm tree - luckily we had a private roof terrace! The cleaners. They didn’t di the floors or bins. This definitely needs to improve. One disadvantage: in the room was a very unpleasant smell. The air con is only in the main living area, so on very hot nights you might have to sleep with the bedroom doors open to keep cool. Was not an issue when we visited end August. There is a road nearby but we have also stayed in the Pinewalk area and know that being further towards the frontline does not necessarily mean it will be quieter. The Pinewalk area has noisy deliveries early in mornings/ bin lorries/ coaches coming and going/ a little bit of late night noise etc. Wherever you are there's a bit of noise and we did not find the road issue at all. We stayed for 3 nights at Las Velas before moving to our villa. 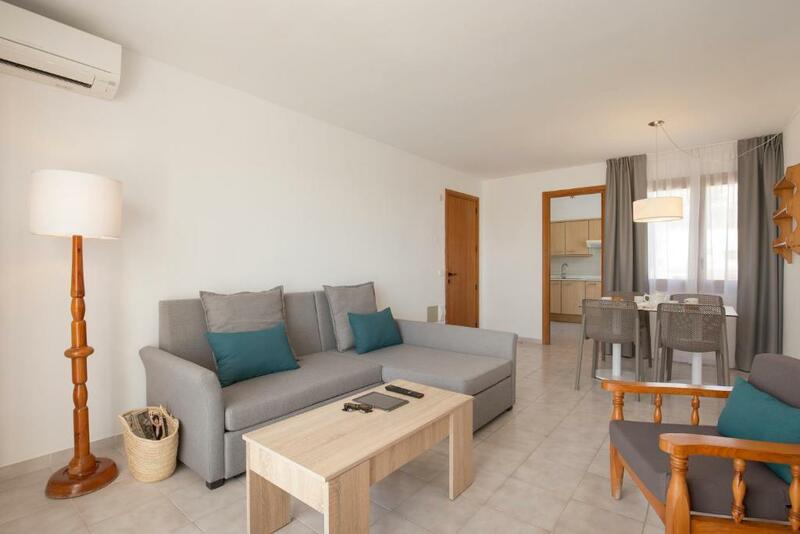 These apartments are excellent value and the staff are welcoming, friendly and very helpful with lots of local knowledge (they ARE local people!). There are 2 pools; we only used the quieter rectangular pool and there were always plenty of sunbeds. Sometimes we had the whole area to ourselves even in August! 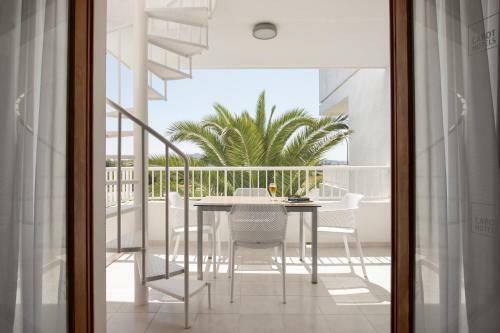 The apartment complex is on the backline but just a short and pleasant 5-10 min stroll to the beachfront where there are many restaurants, mini-supermarkets and bars. We had dinner one night at the Hotel Romantic-very friendly with nice food and 10% off bill for being at another Cabot Hotel site. It's a longer walk to the Pinewalk area, which we did one night for dinner, but there's so much going on/shops open etc that the walk there and back along the front is no issue if you enjoy a stroll. We skipped pudding and picked up ice creams for the walk back. The apartment was plenty spacious enough for our family of 2 adults and 2 teens. Everything you need is there. Not super luxurious or brand spanking new but perfectly clean and comfortable and we would certainly stay again. It had everything we expected and needed plus a bit more. 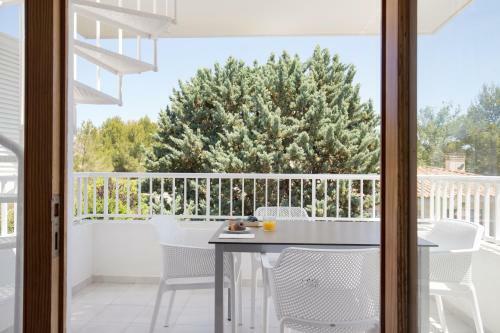 Our balcony was large with table and chairs and 2 sunbeds and a handy rack for drying towels and swimmers. Also by reception is a pool table for 1 euro a game and they have a little bar at reception with cerveza on tap! 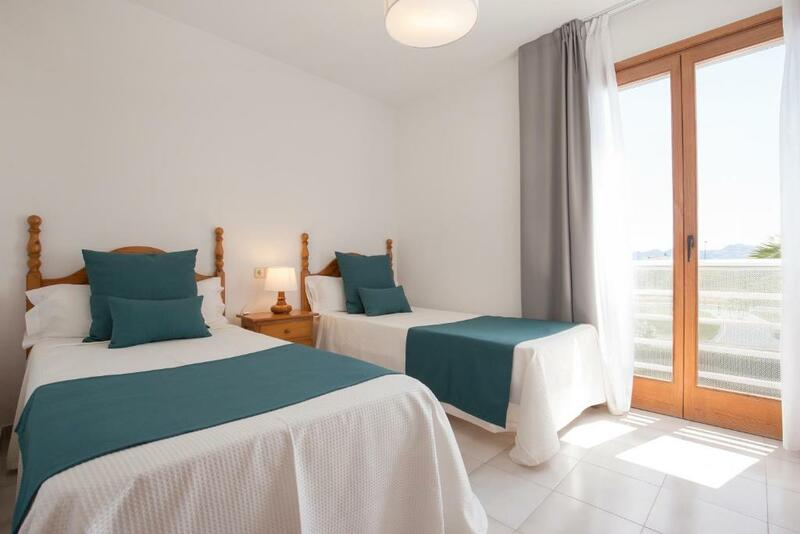 As an afterthought, I would add that we have stayed in other apartments in the port and almost all have 1 bedroom and 2 sofabeds when it says it is for for 4 people rather than 2 proper bedrooms which we had at Las Velas, which is a far better arrangement. Block we were in could have done with a refurbishment. Air con only in living area so bedroom got hot as were in a one bed apartment. Our daughter slept on sofa bed which was uncomfortable. Kitchen adequate and everything you needed to cook etc. However no washing up items left apart from a tea towel that wasn’t replaced during our week stay. However, towels were replaced and bins emptied every other day. Apartment could have been cleaned better as noticed crumbs on floor from previous tenants. The company that owns the hotel, Cabot, appear somewhat short-sighted when it comes to the little extras... Last year we stayed in Las Velas and has the facilities we requires, like a large fridge freezer to accommodate a family of four and the ability to sweep up after eating to keep the place tidy. This year we upgraded to a larger apartment which was equipped with a small fridge and no broom or dustpan and brush. It would cost very little to equip all of the flats with something as simple as a broom and dustpan and brush as well as a fridge-freezer to accommodate a family rather than someone travelling solo. Apparently Cabot decided that a small number of brooms would be kept in the laundry room so that residents can share them - not great when mopping up after messy kids but great for ants, I guess! Lovely well maintained pool area.